"It's kind of unbelievable to me that I’m still recording. I never thought I would still be singing at my age, and people seem to really want to hear me, they know me, they give me love - I'm just overwhelmed, really. 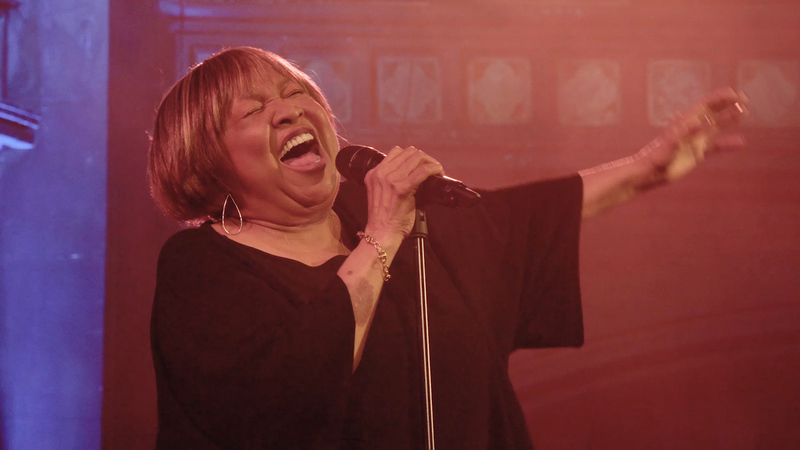 I thank God every night before I go to bed and then again every morning for waking up" Few people would have imagined that at 79 years old Mavis Staples would still be reaching a wide audience and recording albums. Her inner strength is fully intact and this live performance at the Union Chapel in London just goes to prove it. Trump's America acts as a good source of inspiration and a powerful fuel for this voice that sings about God, love, and all the injustices and evils that surround us. She’s just as politically engaged as she was during The Staple Singers’ heyday (who were led by Pops Staples, her illustrious father) when the band released several protest songs for the Civil Rights Movement. Here, the gospel queen essentially sings songs from albums that she has released on the label ANTI since 2007. From Love and Trust by Ben Harper to Funkadelic's Can You Get to That and What You Gonna Do (which she sang during the sixties with The Staple Singers), from Let's Do It Again by Curtis Mayfield to Slippery People by Talking Heads, Mavis Staples’ voice turns everything it touches into gold.